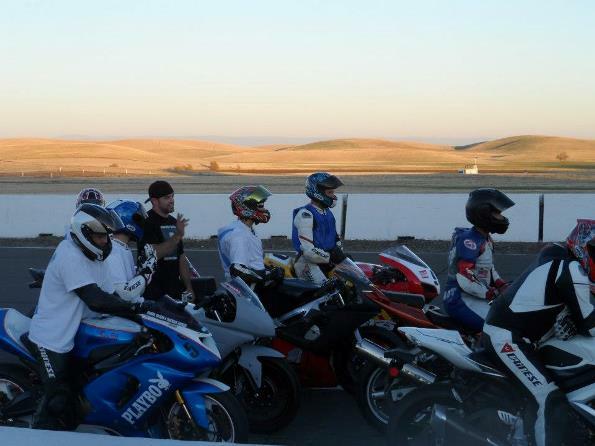 Talking to many street riders who don’t regularly ride the track, the concern of finances comes up. Talking to many avid track riders, when asked why they don’t race, the same reason is often given. Track riding can seem pricey. Racing is expensive. Racing and being competitive is even more expensive (in addition to requiring a healthy dose of talent). Yet every trackday rider and racer, at each level, somehow makes it happen. A huge part of this is dedication and discipline. How many of us believe we are dedicated to our sport, but discover some small way we could be a little more dedicated if we just applied ourselves or gave up something else. For example, I’m on a shoe-string budget in an attempt to do what I love and pursue racing. A few months ago I was wondering how I could possibly manage this on my budget, but a little dedication and discipline went a very long ways. Sure, I’m on less than $30/week food and personal budget which means giving up most meals out, drinks out, etc, but I CAN make it happen. As someone who loves good food, this is one of the areas that requires more discipline than others! Other people seem to have trouble understanding that kind of dedication, yet once you have determined there is something you want to pursue with a single minded passion, these decisions become easier. Everything is weighed on how much it will or will not help you pursue your goals. Is it worth the cost? There are people in every field, discipline and area of life who exhibit the qualities needed for success. For some people, that level of dedication and discipline comes naturally. I am NOT one of those people. In fact, until I found my true passion, I lacked that kind of focus, and even then it has taken time to train myself to be that dedicated. It’s still a learning curve, but I’m finding that these same skills can be applied in other areas of my life, such as dieting. All those New Year resolutions you came up with? Discipline and dedication will make it happen. In the words of Jim Rohn, “discipline is the bridge between goals and accomplishment.” I have that written on a board in my room to remind myself each day that in order to accomplish what I want, I need to have discipline. What are your goals, and what is keeping you from reaching them? Do you have the discipline and determination to make it happen? As riders of any type and level, we possess some level of dedication. If you say you really want to pursue something (riding? Track? Racing?) are you willing to discipline yourself enough to make it happen?